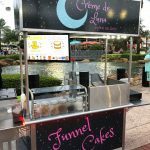 If you've always dreamed of diving head first into the exciting, sometimes lucrative food business, but you're on a super-tight budget to get things rolling, you may have considered purchasing a used street cart or kiosk to test proof-of-concept for your new idea. 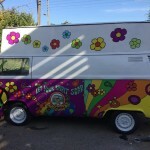 Unlike full-scale food trucks, which can easily cost upwards of $80,000, or even a concession trailer (which starts at around $20,000), a small, one-person operation like a food cart can be an ideal way to introduce your cooking or your concept to the world, especially if you plan to keep your focus extremely narrow. Starting at just a few thousand bucks, a food cart provides ease of mobility, a tiny kitchen that's easy to keep clean, an the ability to start cooking immediately without worrying about hiring staff or buying huge amounts of inventory. But how do you get started buying a food cart? If you've started looking into the world of food carts and wagons, you'll find a huge variance in both the type and size of the cart, as well as the price. A traditional hot dog wagon is probably the first thing that pops to mind when most people start dreaming about a food cart, but these types of mobile units can be adapted to serve almost anything you can think of, from pretzels to tamales to shaved ice to corn on the cob. Finding just the right model to suit your needs and your concept is the first place to start, and we've prepared this handy-dandy guide to help you figure out the right questions to ask, the things to look for, and the red flags to avoid. Things to consider when buying a food cart. Almost all of the information we're going to cover below is related directly to used food carts and kiosks, which we'll loosely define as follows: Any non-motorized cart or kiosk that weighs less than 3,000 pounds, is designed for either mobile or fixed use, is designed for either on-board cooking or for food to be served from propane or electric warmers, and is designed to be operated by just one or two people. Ready? Let's get started. Figure out what kind of food cart you need, and find the one that most closely matches those needs. This may seem like an obvious first step, but it's an important one. Food carts or kiosks fall into two major categories: The kinds where all or some of the cooking is performed on-board, such as on a flat-top griddle, or the kind where cooking is done off-site and food is kept warm for service. Begin by contacting your local health department, to ensure that the kind of food you plan to produce can be legally sold from a cart or kiosk. You'll want to find a used food cart that most closely matches the items you are interested in selling. For example, if you plan to sell burritos, it's much easier to try and find a cart that has already served burritos, instead of trying to adapt the very limited equipment on a hot dog wagon to suit your needs. Similarly, a kiosk that specialized in serving shaved Hawaiian ice, may not have some of the basics you already need in place to start a chili wagon. Refine your concept down to one or two key signature items, figure out what you will need to serve those items, and then buy a used cart that mostly closely matches your concept, and you'll save yourself a ton of time and frustration in the long run. Take a look at included equipment, and figure out if there's room to expand. Because of their use in food service and their constant exposure to the elements, you'll find that even newer food carts or kiosks can be in pretty rough states of repair. 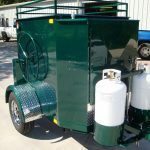 Depending on how much care and attention the previous owner gave your used food cart, there can be a lot that needs to be repaired or addressed before you can start slinging food. Where possible, ask to inspect the food cart when it is operational, so you can evaluate things like the food warming system, any issues with the electrical system (where applicable), or where there are potential health code violations lurking just below the surface. Carefully evaluate any existing equipment, and verify that it is all in working condition. Also look at the overall level of cleanliness of the food cart or kiosk; this can be a quick way to get an overall sense of how much care and attention was given to the food cart by its previous owner, since someone that can't be bothered to clean a grease trap, probably also isn't being meticulous about checking to make sure wheel bearings are well lubricated. Make sure that the lineup of equipment that's included, matches your concept. For example, does it make sense to have steam compartments for hot dog buns, if you're planning to sell empanadas? And if your food cart or kiosk doesn't have the equipment you'll need off-the-shelf, is there room to make changes or expand? Stand next to the food cart, and pantomime what typical service would look like. This may feel a little silly, but going through the motions of service is a good way to identify issues in your workflow. When someone sidles up to you on the street corner and places an order, what happens next? Ideally, you should be able to produce the entire order in just a few quick motions. Where will the order go when it's finished? Will it be handed to the customer? Where is the customer going to be standing during all of this? What if there's a line? Where will THOSE customers be standing? Will all of these people interfere with service in any way? Ask the seller to talk you through any potential known issues. Obviously, there's a bit of a "trust" component in play here, but it's worth asking. Most private party sellers will be upfront about providing a list of known issues or idiosyncrasies with their equipment; successful food cart or kiosk owners typically don't mind discussing these issues, and may even view them as a badge of honor. Understand that every piece of cooking equipment has some known issues, such as a refrigerator door that doesn't seal totally properly, or a huge dent where an overzealous dog once attacked the corner of the food cart. Find out about each of these issues ahead of time, and figure out how difficult they are to fix or whether they will impact your ability to do business. Ask the seller when the food cart or kiosk was last certified for use, and licensed by the health inspector. Evaluate the quality of the structural aspects of the food cart or kiosk. There's a lot of money in food carts, and perhaps even more in their construction. It's all too easy for a welder or electrician to decide to try to turn a quick buck on the side, and start cranking out food trucks or carts, and the build quality often suffers. Check all of the welds and seams where any metal joins with other metal, and make sure that all connections are tight and secure. Check to make sure that all equipment is securely bolted down or appropriately contained, and that there are no leaks anywhere. Look for surfaces that are made of stainless steel, to make it easy to clean. Inspect axles and wheels to make sure they are turning freely. Check for rust, particularly on the underside of the food cart. The aluminum body that makes up the bulk of your food cart won't rust, but the steel frame that makes up its structure can be vulnerable to rust and the elements. Check for rust on the steel frame, on the axel, and on the towing tongue or jack. Rust is insidious, and if there is rust present on the day you buy the food cart, it almost certainly will need to be eventually repaired before it causes serious damage to structure. Check laws in your area, and only buy what you need. 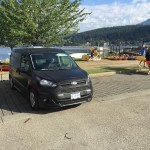 Because different food carts or kiosks are equipped so differently, depending on how they were previously used, you may find that your potential purchase is outfitted with equipment you don't need. 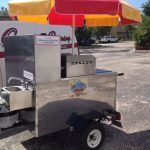 Check local laws regarding the equipment needed for operating a food cart in your area; for example, many states require a food cart to have the same 3-bay and hand wash sinks as you'd find on a larger concession trailer or food truck. Some don't. You'll want to know what is needed in your state, before you begin. Evaluate systems for water and propane. No matter how the food cart you buy is equipped, you'll probably need at least two things: Water and propane. Does the food cart have a water supply for a handwash sink? Is there a hot water heater? How big is it? Is it producing water that is at least 110 degrees, as mandated by the health department? Is the water brown or murky, indicating rust in the tank? If you had to replace the hot water heater, is it easy to reach and accessible? What happens to wastewater? How the wastewater tank is drained? Is there a three-bay sink for washing dishes, with a separate hand wash sink? Are your major cooking appliances or warmers powered by propane? Where are the propane tanks located? Will you have to have propane delivered, or is there a removable tank? Is the tank large enough to power multiple appliances for several days at a time? Is there a spare, as required by some states? Are all gas connections to appliances tight, with regulators in place as needed? Finally, evaluate whether a food cart or kiosk is even what you're after. Remember, your concept may not allow you to serve your food from a cart or kiosk in your state. If you're planning a mobile business with food that require extensive preparation or cooking, a full-fledged food truck or concession trailer may be more the solution you're looking for. Make decisions based not on what seems the easiest or least expensive to get started, but on what the actual needs of your business are, and act accordingly.